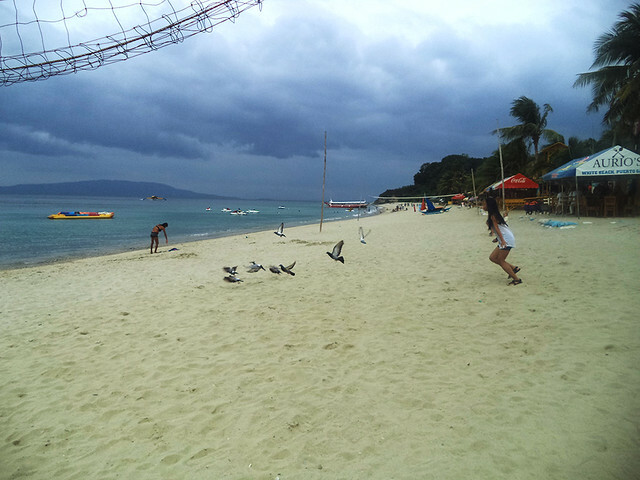 Puerto Galera is one of those super famous beaches we know in the country. As a matter of fact, it is one of the only two beaches I knew (the other one being Boracay) when I was still an innocent child. How pitiful, akala ko dati Boracay at Puerto Galera lang ang beach sa Pilipinas, I was so clueless that we got so much more, even better beaches to choose from. Despite being tagged as an overrated beach by many blogs and write ups online, I actually still want to feel and experience Puerto Galera. And this interest to visit this beach is heightened by the presence of Mt. Malasimbo, the highest and prominent peak in the area. Para sa mga ngayon lang nagawi sa blog ko, there's an intimacy going on between me and the Philippine mountains, so don't be surprised if I would express my fondness to mountains all of a sudden. For some reason, it was only January of last year (2014) that I finally decided to see the beach for myself in the hope of climbing Mt. Malasimbo as well. A mountain-beach combo trip has always sounded a very good plan to me. It was 3am when Dawn and I took a bus bound for Batanggas Pier. I failed to get a very good rest last night that's why I fell asleep on my partner's shoulder so easily... or maybe I was just practicing my ninja moves but then I was too tired that I fell asleep without noticing. Anyway, both of us fell asleep the entire 2 hours (more or less) trip to Batangas Pier from Manila, and woke up by the loud voice of the bus conductor saying that we're already at Batangas Pier. Having no clue which way to go (it was our first time in Batangas Pier), we just followed the mass of people. 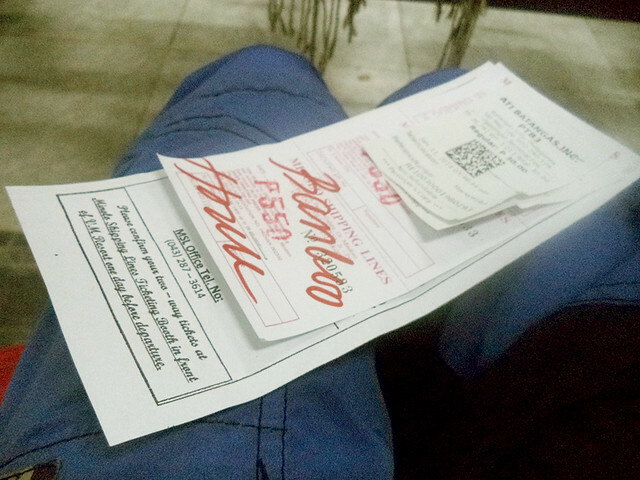 Our instinct, which is right most of the times, brought us to the ticket booth where we of course bought our tickets to Puerto Galera. Also there, were barkers na makukulit na hindi magsasawang mag-alok. 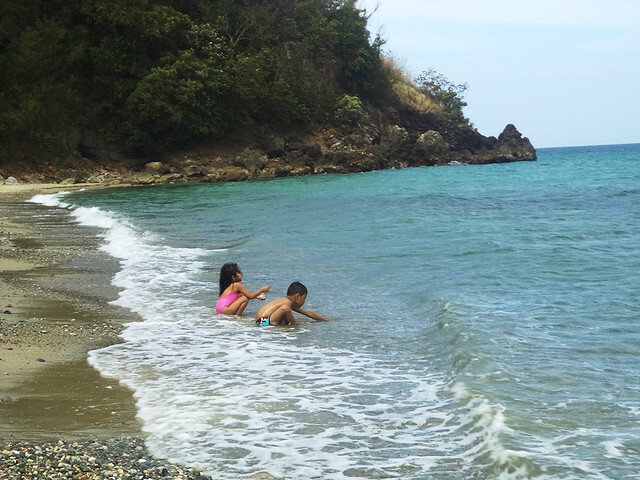 They would leave only if you ignore them and act as if you're an expert Puerto Galera tripper. after buying our tickets that cost P550 each for a round trip, we entered the pre-departure area and stayed there until our scheduled trip. Came our boarding time, we boarded our big pink boat. Before, I thought that big ships carry passengers between Batangas and Puerto Galera, but I was wrong the whole time. Only large motorized boats has service in this route. 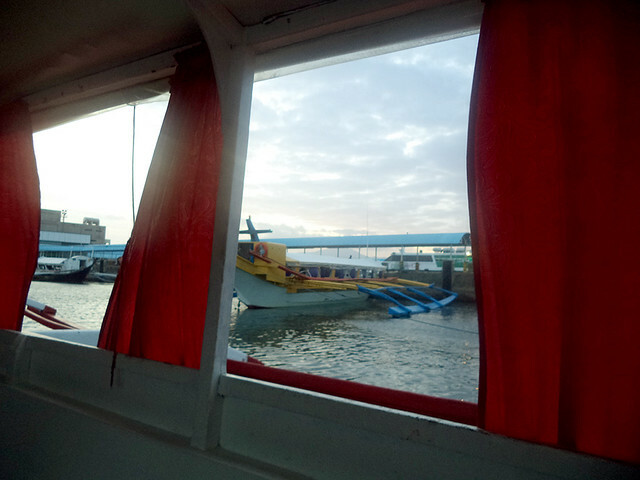 Travel from Batangas Pier to Muelle took only about an hour and half. The trip was shaky and quite vomit-inducing. I hate motion sickness. 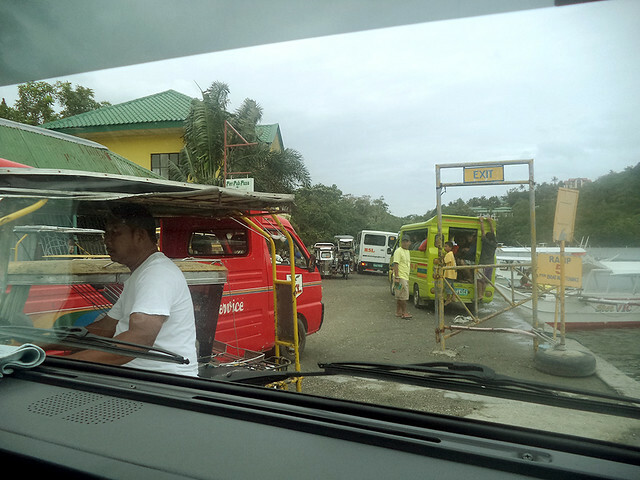 Arriving at Muelle port in Puerto Galera at 8AM, we used Minolo's free shuttle service to our resort of choice. Hassle-free talaga! 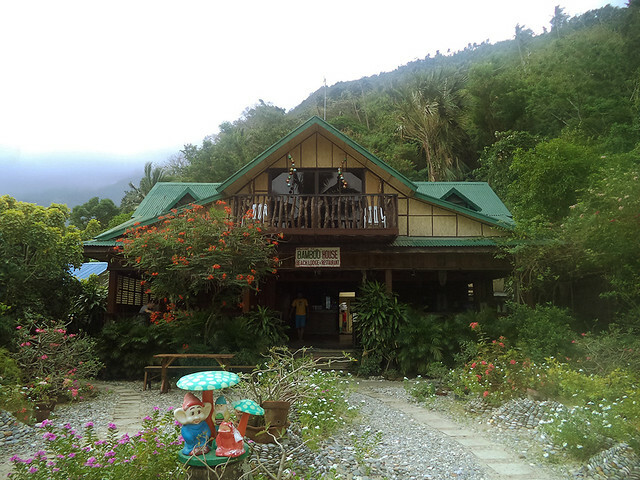 We conveniently reached Bamboo House Lodge in Talipanan beach through this added service. 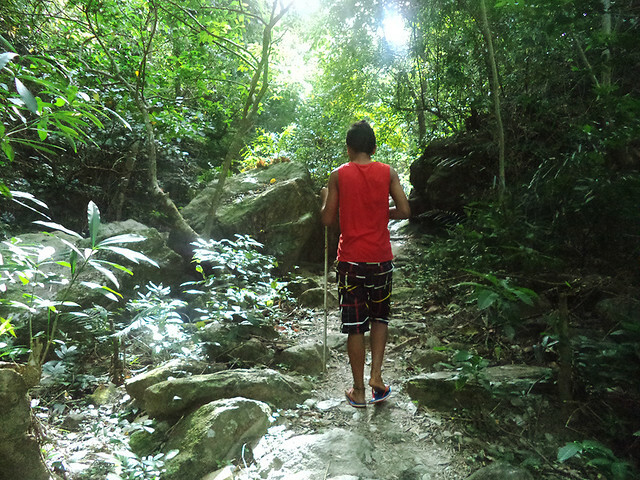 Weather in Puerto Galera by that time was not too pleasant for hiking. I noticed dark clouds looming above the whole town. This is depressing since we were really planning to hike that day. But I'm not yet losing hopes that we can still hike up Mt. Malasimbo. Fingers crossed. When we reached Bamboo House Lodge, we were received and given a room right away (it really pays to have an advanced reservation). By the way, Bamboo House Lodge is located at Talipanan Beach, the more quiet side of Puerto Galera. 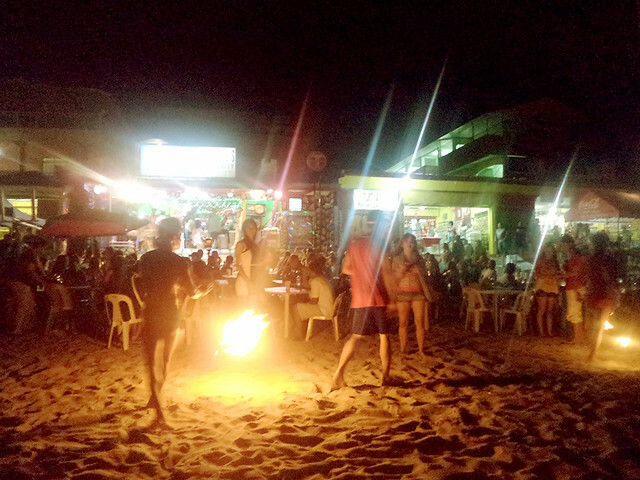 The nightly parties and noise are all in White Beach area. By 9 in the morning, after settling down, we went out to front desk to ask about the how-tos in the place and our plan to hike Mt. Malasimbo. We were told that the hike's gonna take long and availability of the guides wasn't sure. I was still so willing to hike Mt. Malasimbo that morning until I went outside and saw the mountain covered by thick blankets of clouds. And then I told my partner, "why don't we just spend the whole weekend lazying at the beach?" Yeah yeah, sinong bang hindi tatamarin umakyat kung nasa beach ka na, tapos yung bundok na balak mong akyatin ay hindi mo na makita dahil nabalot na ng ulap. Haaay. Oh well, a whole weekend spent in a beach is still not bad at all. 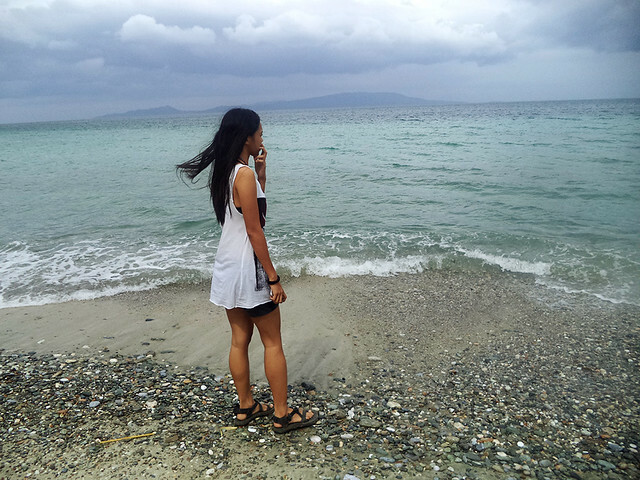 Despite the gloomy weather in Puerto Galera, we're still eager enough to roam around and see how Talipanan Beach looks like. Talipanan Beach isn't really long. It can be walked from end to end for only about 30 minutes or so. The sand isn't powdery fine and not so white. There were pebbles and crushed shells and corals. But to be fair with Talipanan Beach, there weren't too many people around which is a very good thing. There were also a number of resorts and restaurants along the beach so tourists wouldn't go hungry. By lunchtime, we entered an Italian Restaurant called Luca's Cucina Italiana, located just beside Bamboo House Lodge. To feel the Italian vibe of the place, we ordered pasta for lunch. One serving was big enough for the two of us. 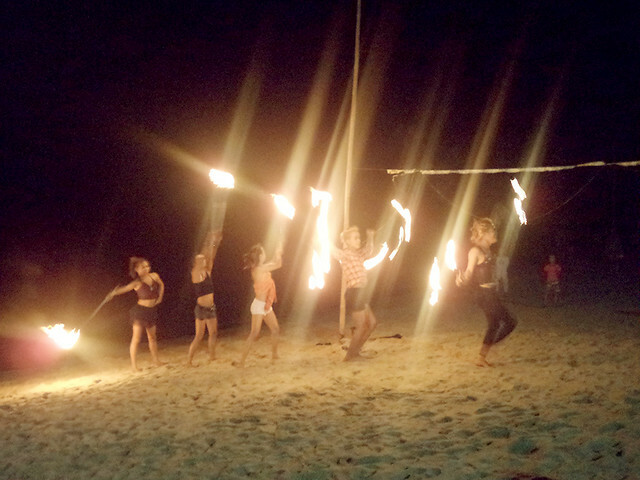 They say, your experience in Puerto Galera is never complete without witnessing the fire dancers. Yes. Fire dancing is famous in this place. Happens all night at White Beach. So later that day, after having some precious hours of nap, we went to White Beach. White Beach is about 10 mins trike from Talipanan. 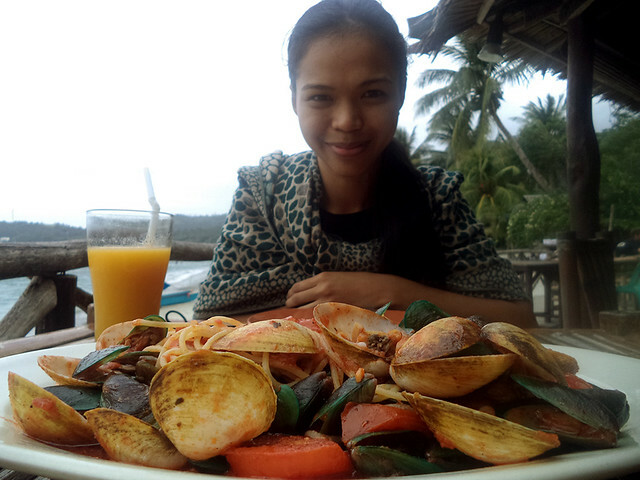 Its beach is longer and has more restaurants and establishments than Talipanan Beach. And it was so alive during the night. Parties and lights were everywhere. If Talipanan Beach is serenity, White Beach is party. We had grilled tilapia and grilled squid for dinner that night. I forgot the name of the restaurant but it's the one that stood out from the rest because its tables were actually speed boats. And while we're having dinner, lights went off. There was a black out, hence a candle-light dinner for us. 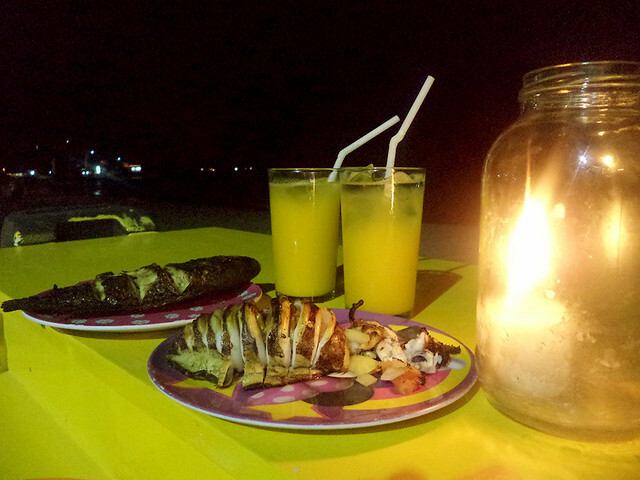 Grilled seafood for our candle light dinner. Nag-brown out kasi kaya naka-kandila kami. Fire dancers came out and began playing with blazing balls of fire at around 8PM. There were many of them there, dancing and performing with styles and exhibition. It was my first time to see such thing and I must say, I was amazed. We decided to return to Talipanan before 10PM. Lumalamig na kasi ang kapaligiran. And besides, we're still planning a short adventure tomorrow. Being the nature lovers that we are, we were not contented with just the beach. Our itchy feet needed a dose of nature's trail. 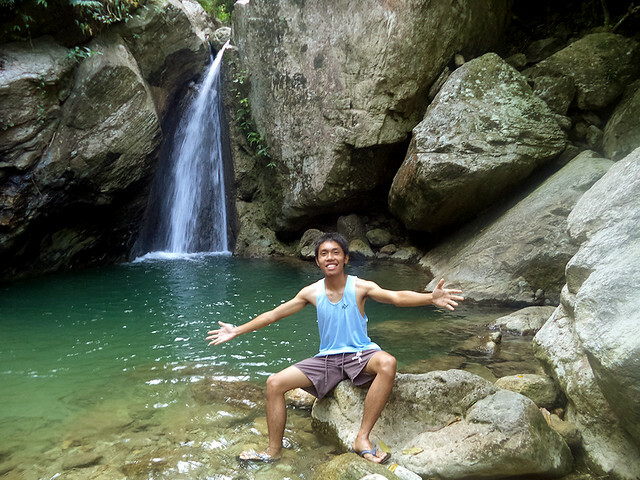 I heard that there's a waterfalls (Talipanan falls) nearby so I asked again the front desk about it. They said it's just 30 mins walk from the resort and they get guides for us. Awesome. The staff in Bamboo House are really friendly and helpful. As soon as we finished breakfast, we went trekking. We were accompanied by two local kids. 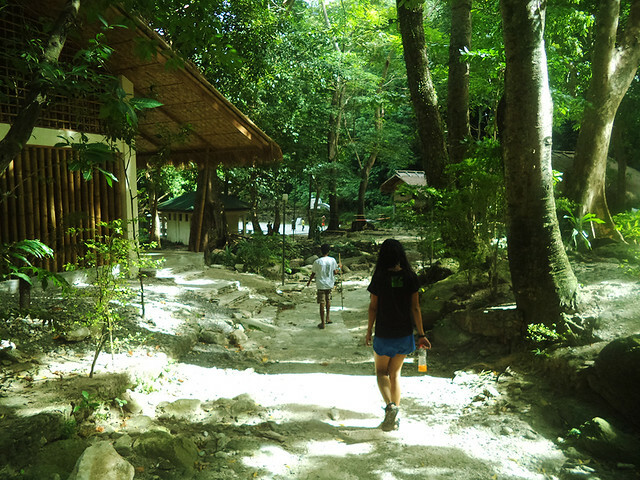 From the beach, we followed an easy straight forward path leading to a very interesting Mangyan Village. Mangyans are the native inhabitants of Mindoro Island. 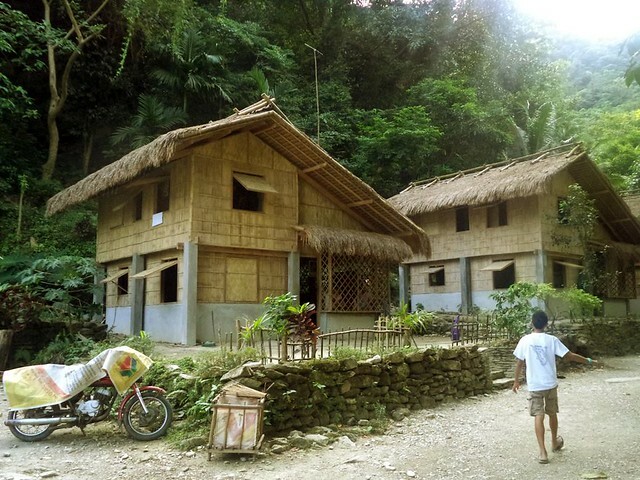 One interesting thing that I noticed from the village are these unusual 2-story bahay kubo. Pambihira talaga na makakita ng bahay kubo na merong 2nd floor. Astig! The whole village was very well organized and paved. I believe the whole place was funded and beautified by the local government. Although it's nice, I somehow felt that it lost its authenticity. Yun ay sa akin lang naman. Anyway, continuing our trek, we further walked in a woodland following the source of the stream of water. 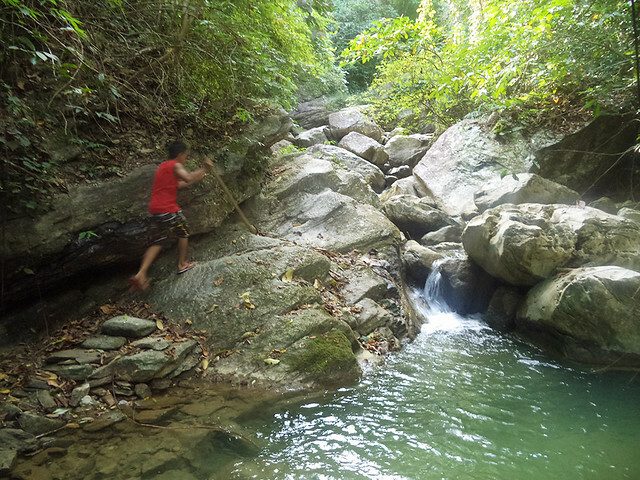 For a seasoned hiker like us, the trek is actually fairly easy. We reached the Talipanan falls after only 15 mins of brisk walking. It was a so-so waterfalls. Yes, it's clean and the water looks so inviting, but it's too small and too usual to be impressive. Masyado na atang mataas ang standards ko pagdating sa waterfalls after seeing a number of real tall and magnificent-looking cascades of water. 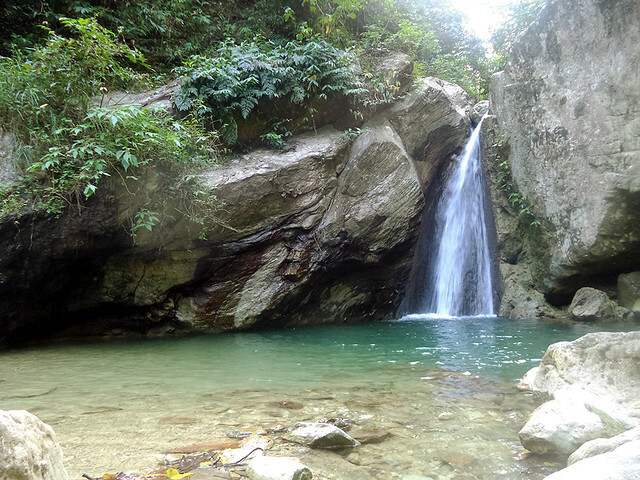 Nevertheless, Talipanan falls is still worth taking a visit. As much as we wanted to take a dip into the bluish pool, I couldn't. The water was too cold, and I just couldn't jump in. Yeeks. So we just posed for photos then walked back to the beach. With an improve weather, we decided to hang out by the beach and enjoyed basking under the sun. While walking around, Dawn grew ecstatic when she saw a kayak. No one's using it so she dragged the thing and started paddling. I was too lazy to join here so I just laid down and had a great time watching her. Nakakatamad talaga kumilos. After lunch, we started preparing for our departure. Our shuttle will arrive at 2PM to service us back to Muelle port for our 3PM scheduled trip back to Batangas. But before that, we went back to White Beach for a quick pasalubong shopping. And as expected, our shuttle arrived at 2 o'clock in the afternoon. So we checked out and bid goodbye to the friendly staff of Bamboo House Lodge. At exactly 3PM, our left Puerto Galera and arrived in Batangas past 4 in the afternoon. Our lazy weekend in Puerto Galera, with each other's company, is still very enjoyable. Pumalpak man yung plano namin makaakyat sa Mt. 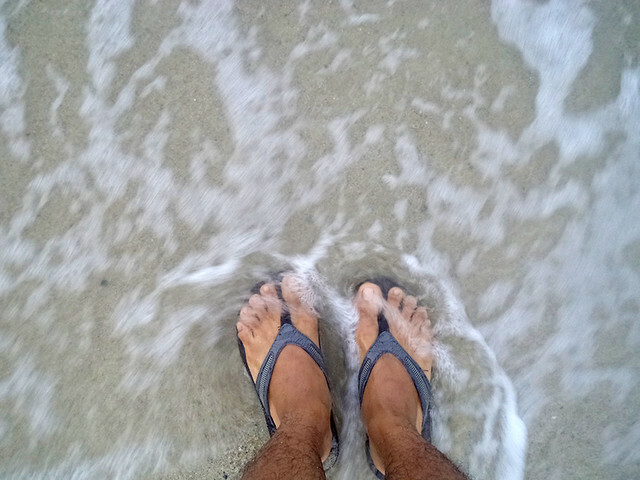 Malasimbo, we still had a perfect hayahay weekend at the beach. 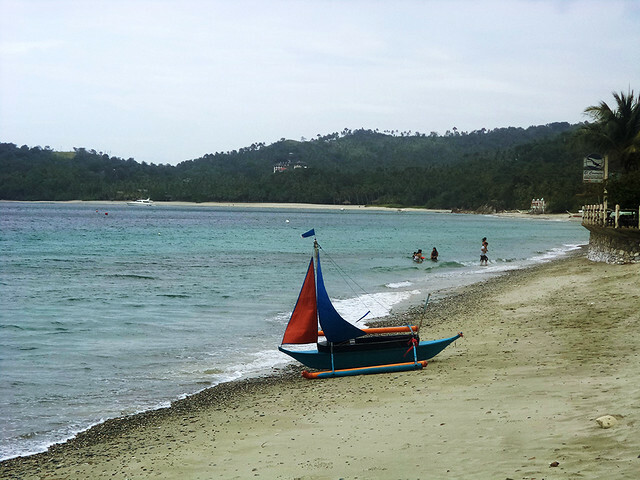 Puerto Galera, as a destination, has always caught the fancy of many a travelers. It is a unique paradise that you truly fall in love with one you get to see its natural beauty and charm. I wish I had a weekend like that. I really need one. Magkano bayad nyo sa shuttle? How much was your room at the bamboo house? Hi sir. please check out my separate blog about my solo trip in Bacolod. It's basically just foodtripping, and heritage tours. Hi Ivan, I will be going to puerto 4th week of May, and i was just wondering if the shuttle service is part of the P550 ticket fee you paid at Minolo shipping lanes? Hello I am from Bacolod. 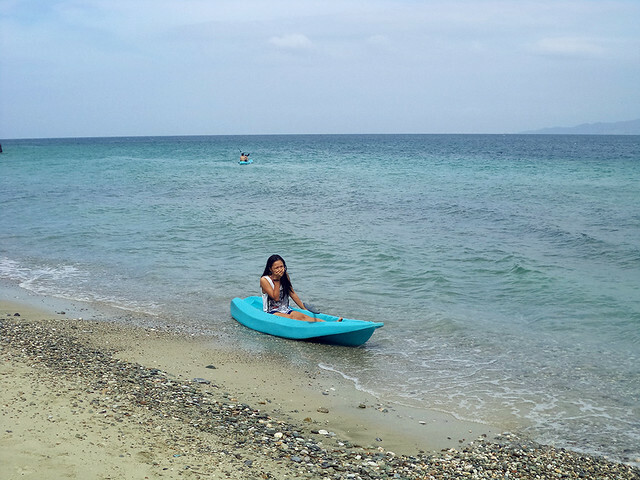 Planning to go to Puerto galera this Oct. But I don't know how to get there.. Hoping you can help me about it . How much is the accomodation for Bamboo house lodge? Thanks. Hi, pwede po makahingi ng contact ng guide going to Talipana Falls? Thank you po.